They will only riot if their favorite Belgium beer, Budweiser, starts to cost that much. Until then as long as Americans have pisswater and American Idol, let them eat cake. Even worse: My large-size Dunkin' Donuts Coffee at Costco went up from $15/bag to nearly $18!!! Coffee fuels my agitation, so this is most distressing. While everything else is cheaper here in the Capital Wasteland compared to San Francisco, the alcohol thing is really killing me. Safeway (or any grocery store for that matter) isn't allowed to sell booze so I can't get an 18 pack of Heineken on sale for $14.99 with my card. F^@$! There are no liquor sales allowed in my county on Sundays and don't even try to find booze in the District on a Sunday, you'll have to go to Maryland for that (but not my county... see above). The one liquor store that's close has plenty of box wine and Coors but God forbid you'd like something a little more adventurous like a pale ale that doesn't take like liquified sweatsocks and asscrack. There is another liquor store not as close with more variety but don't you dare try to go there later than 9pm on any given day. Is it because I'm in the burbs or because I'm on the East Coast? There's a racket but I can't tell who is making money off of it, seems to be a loss for the county if they aren't letting us get liquored up on Sunday. In a related note, however, I want to go to Safeway every week and start taking pictures of staples like bread, milk and meat on a weekly basis to see how high the prices (and small the packages) go. I know for a fact it did not used to cost me $160 for a grocery trip but can't prove it as I'm not a budget shopper and usually just get what I'm in the mood for. Oh and that's $160 WITHOUT a single piece of meat - forget it, I'm not paying $15 for chicken breast when I have chickens in my own damn backyard to strangle. Know what I learned? I can live without beer. I agree, beer inflation is a shame. During the Carter administration beer went to $3/sixpack and never went back. That pissed off a lot of people. 1. Stone is a heckuva lot better than yesterday's beer. It's got more alcohol and more hops. Not 3x as much but it deserves a premium to yesteryear's schlock. 2. There's an outfit in Colorado making "Ranger" IPA that is very hoppy and not quite as expensive as stone. 3. Go to trader joes and try their $3/sixpack canned beer. IT IS NOT BAD! it's not hoppy... but on a hot day go mow the yard or run around the block, poor it in a cold glass, and I guarantee you serious satisfaction. Yeah Ranger by New Belgium is a very good lower priced IPA. Trader Joes also has Mendocino Brewing company IPA which is satisfactory. I also recommend cruising the beer section at CostCo. A few months ago they had an Anderson Valley sampler 24 pack that was excellent for about $24. And about twice a year I see Laguanitis IPA in there for $24/24 which is an excellent deal. 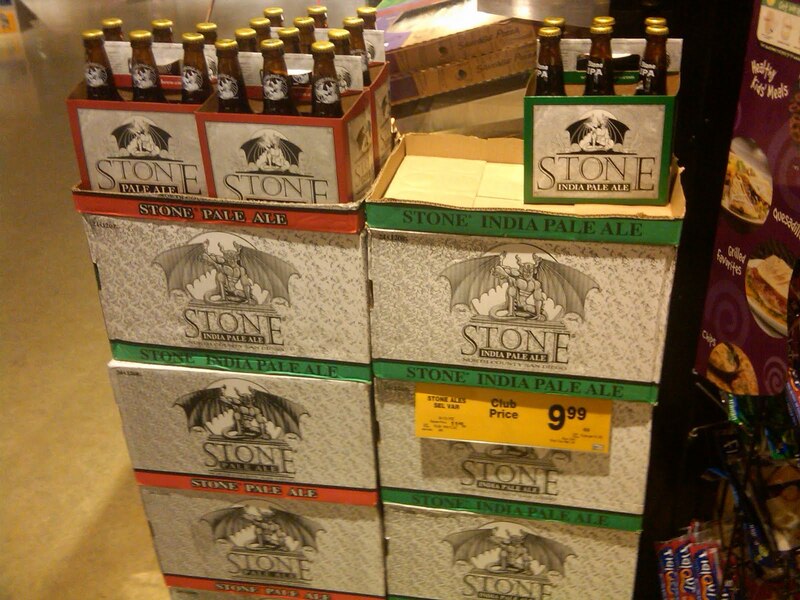 I actually remember seeing a Stone case of IPA in Costco as well but that's rare. It's like everything else, if you can afford to buy in bulk and have time to chill you can still find deals. But the corner liquor store for beer, forgettaboutit. That Lagunitas Beer is pretty darn good. I'd choose that over Stone any day of the week. I guess I should renew my costco membership. Their wine selection is ok, too. Wine is something that hasn't experienced much inflation!